You can't go wrong with crayon rolls. 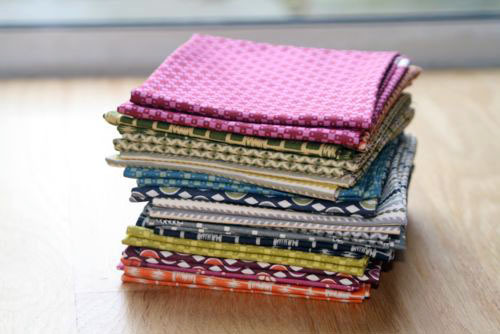 Did I ever show you the little stack of fat quarters I got at Denyse Schmidt's studio in October? Clearly they needed to be cut. What do you make for the 'tween boy in your life? Interests: music, computers, girls, music, cooking, girls and computers. I thought cooking was my safest bet.